New Delhi: The government may speed up the approval process for critical mergers and acquisitions, or M&As, by the Competition Commission of India (CCI), said Union minister for corporate affairs Salman Khursheed. It is considering a reduction in the proposed maximum time limit for clearance by the watchdog on anti-competition practices, after representations from industry and concerns raised by those within the government as also the European Commission, he said. 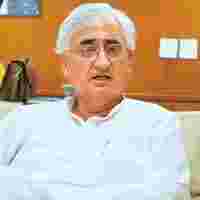 “We will notify section 5 and 6 (dealing with M&As) only after due deliberations on the time period," Khursheed said. As per the draft regulations, CCI can take up to 210 days to clear M&As that require special attention as they may lead to collusive activity or monopolistic tendencies. After 210 days, the M&A will be deemed approved if CCI does not take any further action. The regulation has not yet been notified although CCI is fully functional with a chairman and six members. The minister said any review may require a fresh round of dialogue with industry. Vinod Dhall, former CCI acting chairman and now heading Dhall Law Chambers, expects few M&A cases to take 210 days. That limit only applies when a show-cause notice is issued, he said. For the rest, the review period is one month. The concerns of industry were “discussed at length before bringing out the regulations and a fast-track mechanism was introduced, setting a time limit of 30 days within which the commission must decide or the merger would be deemed passed", Dhall said. “Therefore, 85-90% cases would be disposed of at this level. I feel a cap of 120 or 150 days can further be introduced, if the industry is so concerned, where the commission can give an assurance of intention that the M&A will be cleared," he added. CCI was established in October 2003 and initially functioned as an advisory body in the absence of statutory powers. While it got these in 2007, it was only in March that it could start work after getting a chairman and members. Several rounds of discussions with trade and industry led CCI to revise its M&A norms in 2008. These included altering the threshold limit for M&As that required CCI’s approval. Besides, the draft regulation says all such transactions would be cleared in 30 days after which they are deemed approved, unless CCI takes exception. Lalit Bhasin, partner, Bhasin and Co., said the 210-day limit is being resisted by domestic industry as also international organizations such as the International Bar Association. “The limit of 210 days for approving M&As is a stumbling block in the implementation of the competition law, which needs to be addressed immediately if we need foreign investments in our country," he said. “The 30-day schedule, which says if one does not hear from CCI in 30 days the M&A should be deemed approved, should be followed as a rule." A senior executive at a leading investment bank, who did not want to be identified, said a rethink by the ministry of corporate affairs on the 210-day limit was needed. “Normally, an open offer process takes around 90 days after the public announcement of any M&A. If there is a delay, it takes a maximum of 110-120 days. The Competition Act requires prior approval of CCI and then the approval may take 210 days, which is very high," the executive said. “While there is a provision of approval in 30 days, one can’t say, given the way things operate in India. So it’s better that the upper limit is reduced."